A brand is much more than a logo or a slogan. It is the combination of how all of your customers and potential customers perceive you. 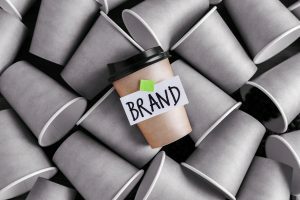 Here are key reasons why branding is so important, along with five tips to help you get it right. Branding promotes recognition. Without a strong brand, no one will know who you are, and you will not be able to sell your products or services. A recognizable brand is easy to share, and your customers will spread the word about your exceptional company. Becoming a familiar brand is key to driving repeat business. It’s about building customer loyalty. Great brands also inspire employees. They will have a strong brand to stand behind, as well as goals to work towards. An inspired workforce is a productive workforce, so having a compelling brand at the forefront of your company is essential. Branding builds trust among your customers. It communicates the quality of your products or services. As your brand becomes recognizable and familiar, customers will learn to trust you and will come back to you time and time again. One core branding tip is to be consistent. Use the same tone of voice, colors, and fonts across all of your marketing channels. You want to build familiarity and trust, so consistency is key. Whether you are sending an email or writing a tweet, you need to stay true to who you are as a brand. Invest in corporate social responsibility (CSR). Millennials, in particular, want to buy from brands who stand for something. They want their products and services to come from socially conscious companies who want to make a difference in the world. Consider donating to charities or partnering with nonprofits as part of your overall brand strategy. TOMS shoes is one company known for its corporate social responsibility. For every pair of shoes they sell, they donate a pair to someone in need. TOMS also partners with nonprofits to extend its reach. Beyond donating shoes, the company helps visually impaired individuals, provides clean drinking water and fights bullying. Provide excellent customer service. If your brand is how customers perceive you, then customer service is a core component of strong branding. No matter what stage the customer is in the sales cycle, whether they have known you for years or are just discovering your brand, you want to provide excellent experiences every step of the way. Invest in social media. Millions of people log onto platforms like Facebook, Twitter, and Instagram every day. You want to be part of what they see when they are browsing through their news feeds. You will want to spend money on social media ads to stand out, as organic reach on social media dwindles. Try content marketing. Free content is a wonderful resource to draw in new customers. If you can give away your wisdom in the form of a free white paper or ebook, definitely do not hesitate. You can use content to position your brand as a thought leader in your industry, as you edge out the competition. One company using content marketing is TD Ameritrade. They produce a print and digital magazine for customers called thinkMoney. According to the Content Marketing Institute, subscribers to the magazine are better customers for TD Ameritrade. Keeping customers happy and informed, the magazine is a successful content marketing effort for the brand. Branding is increasingly important in a competitive business environment. If you want help strengthening your brand, look no further than the Borenstein Group, a Top DC marketing agency. Get in touch with us today to start your brand building project.